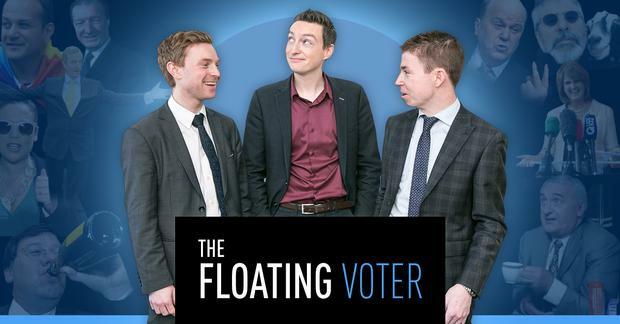 New Minister of State for Local Govt and Housing, John Paul Phelan, joins Niall O'Connor and Philip Ryanon this week's Floating Voter to discuss the controversy over the Maire Whelan appointment, if Leo Varadkar is anti-woman, and why Micheál Martin missed an open goal in the Dail and has been trying to make up for it ever since. Defending the government's appointment of Maire Whelan to the Court of Appeal, and Whelan's competency for the job, Phelan said it is the job of lawyers job to warn their clients of maximum exposure. "The book stops with the government with judicial nominations. It is ultimately the prerogative of the government to nominate." Instead, Phelan attacked Martin's mistakes around the 'red herring' issue. "Micheál Martin made it personal. I've never seen a bigger miss in fifteen years. He had the ball in front of the goal and kicked it wide. His head was nodding he was under so much pressure when he realised his mistake." As for Leo Varadkar being anti-woman? "That's ridiculous. There was a self-imposed rule that there woulnd’t be first time TDs appointed. There will be more women in the Oireachtas with gender quotas and we will see more women in government as a result."